Leading commercial law firm, Muckle LLP, has achieved an impressive 25 per cent increase in turnover for April to June, the first quarter of its financial year, compared to the same period last year. The strong results have been generated through a strategy of focusing on Muckle’s core heartland across the North East business community. Muckle remains one of the most active legal advisers in the North East. Muckle has completed 36 corporate deals with a total value of £347m since the beginning of the year. The transactions have been spread across a range of market sectors, including manufacturing, technology, energy and pharmaceuticals. The firm has bucked the trend over recent years, averaging 5% year on year increases in turnover over the last five years. During this time the firm has diversified and has won work across all sectors and legal areas, no longer relying on a few large teams in the firm. This strategy has led to Muckle more than doubling the size of its banking team and increasing commercial work by 67%, whilst still growing corporate transaction related turnover by 17% and real estate development work by 38% over those five years. Fee income and profitability for the year-ended 31 March 2015 dropped slightly as a result of a number of corporate deals that were progressing towards the end of the year rolling over into the firm’s new financial year and as a result of a complex and high value piece of litigation undertaken on a conditional fee basis. This dispute was finally won for Muckle’s client in July this year. In addition, new HMRC rules created a fundamental change in the computation of profitability with payments to fixed shared partners now deducted before the profit figure is calculated. The partner appointments included specialist registered provider partner, Russell Hall; intellectual property litigator, George Festing; construction and engineering specialist, Keith Bishop; and Kevin Maloney who was promoted internally in the banking and restructuring team. Muckle has begun the new financial year continuing to invest with the appointment of two additional partners, with Anthony Evans joining the corporate team and Charlotte McMurchie leading the real estate litigation team. 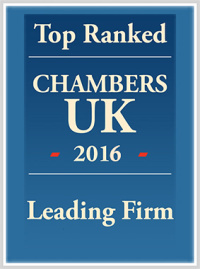 Hugh Welch said: “We remain focussed on delivering the highest levels of client service and commercial legal advice. Our strong reputation across the North East is a testament to this.